The Shikshapatri was written on Vikram Samvat 1882, Maha Sud 5 (11 February 1826) of the Hindu calendar. In India, this day is also celebrated as Vasant Panchmi, the end of the winter season and official start of the joyous spring season. This auspicious day was chosen by the Lord to gift humanity with the Shikshapatri scripture. 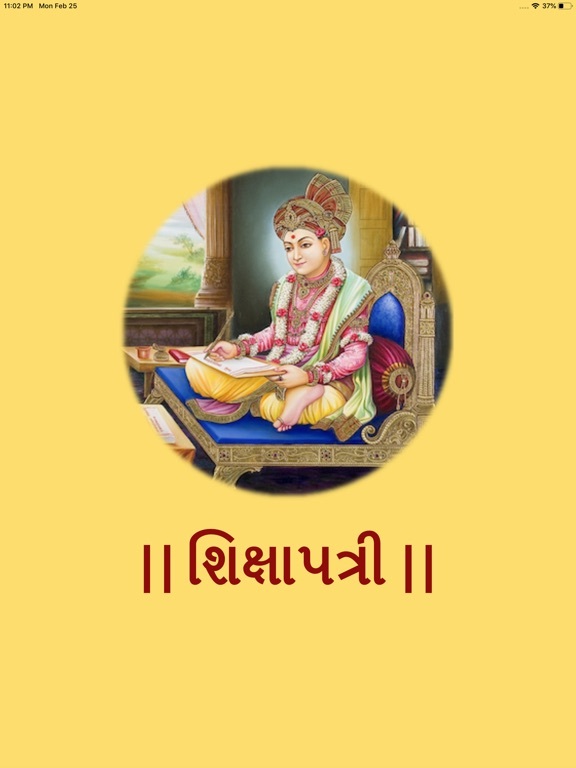 The Shikshapatri is the epistle of beneficial instructions written by supreme Lord Shree Swaminarayan. It describes the rudiments that one should adopt in order to lead an honest and moral life. Adhering to the commandments that are clearly narrated in the Shikshapatri, is the key to attaining ultimate salvation, i.e. attaining the divine abode of Lord Swaminarayan. 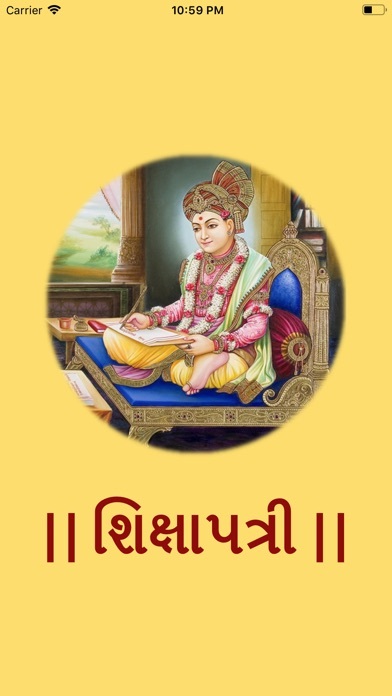 Lord Shree Swaminarayan has decreed that for a disciple to remain happy in this life, and thereafter, the commandments in the Shikshapatri should be adhered to. The Shikshapatri is the greatest rule book for perfectly forming one’s life in accordance with the will of supreme Lord Shree Swaminarayan. The instructions outlined by the Lord are eternal. They are as relevant today as they were at the time they were written. 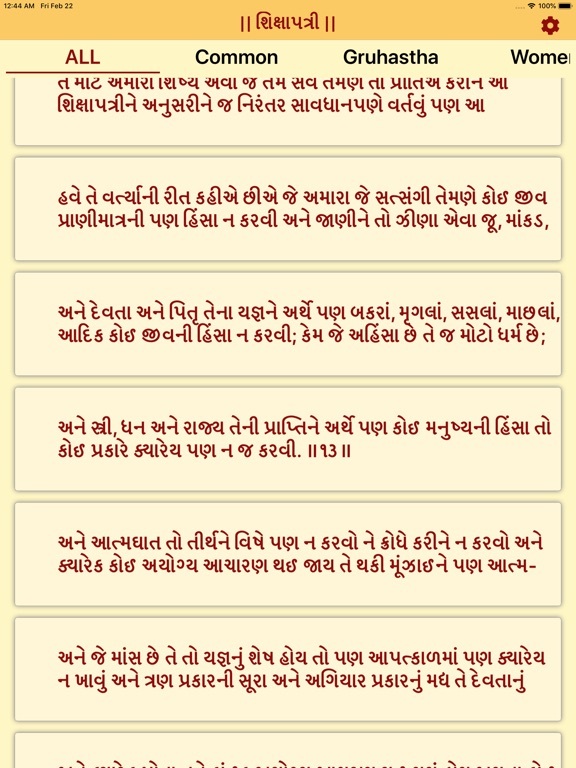 In current digital and technical era, where we are running out of time, it is very difficult to spare time to read these holy commandments given by Lord Swaminarayan. To overcome this challenge, this app has been designed. 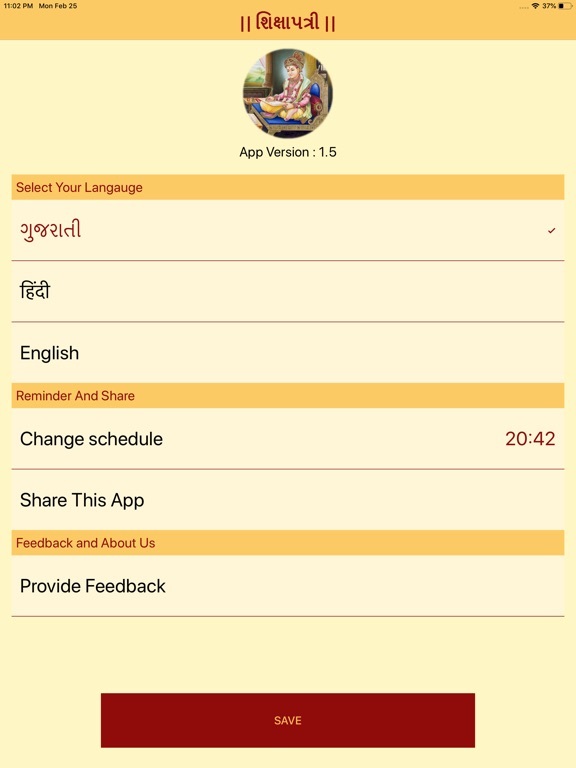 This digital app provides flexibility of "Open Anywhere", "Read Anytime". Incase of not spare time to read, no matters, it allows you to "Listen on the Go". And also allow you to share the shloks over social media including whats app, facebook, email etc.